Hermosa Beach is one of three beach cities in the South Bay, the other two being Redondo Beach to the south (and east) and Manhattan Beach to the north. You can read more here. 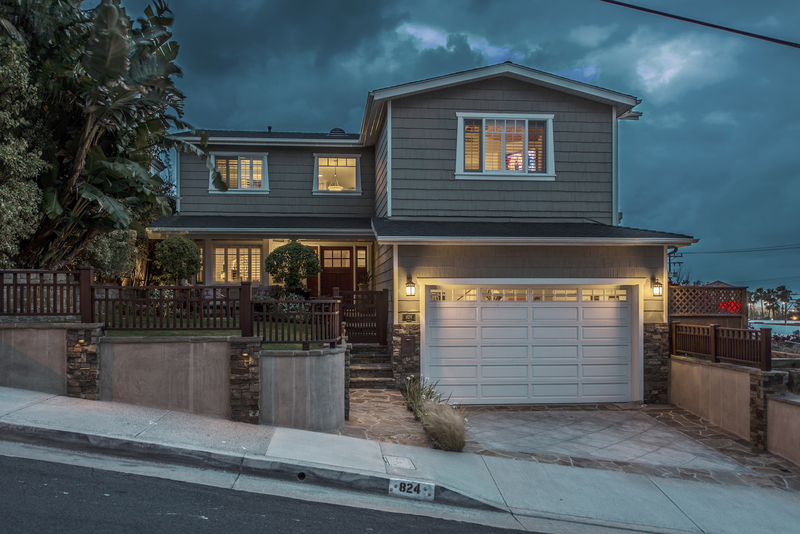 Below you can see all the active residential listings - single family homes, condos and townhomes - currently on the market in Hermosa, starting with the newest first. You can also search by Property Type or Neighborhood using the pre-set searches in the white box below. Remember, if you see a home you like, call (310-729-4255) or contact us for more info or to schedule a showing. 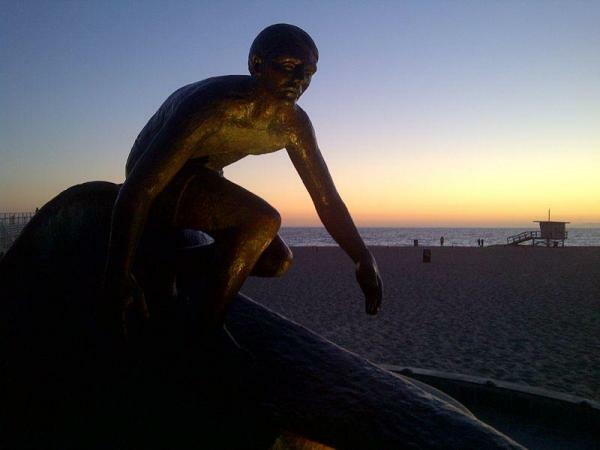 Hermosa Beach is a relatively small town, geographically, extending only about 15 blocks from East to West and 40 blocks from North to South, with the Pacific Coast Highway running down the middle. Situated on the Pacific Ocean, Hermosa’s average summer temperature ranges in the mid-70s. Consistent ocean breezes lessen what can be high summertime temperatures in the surrounding Los Angeles areas and virtually eliminate the smog for which the LA Basin is notorious. An affluent community, popular with surfers and beach volleyball enthusiasts, Hermosa Beach also has great schools which is attractive to families. Of the three beach cities (Manhattan, Hermosa, Redondo), only Hermosa owns its beach (the other two cities’ beaches are owned by the county of Los Angeles). The wide flat beach makes Hermosa Beach one of the most popular places to play beach volleyball, from professional to amateur. 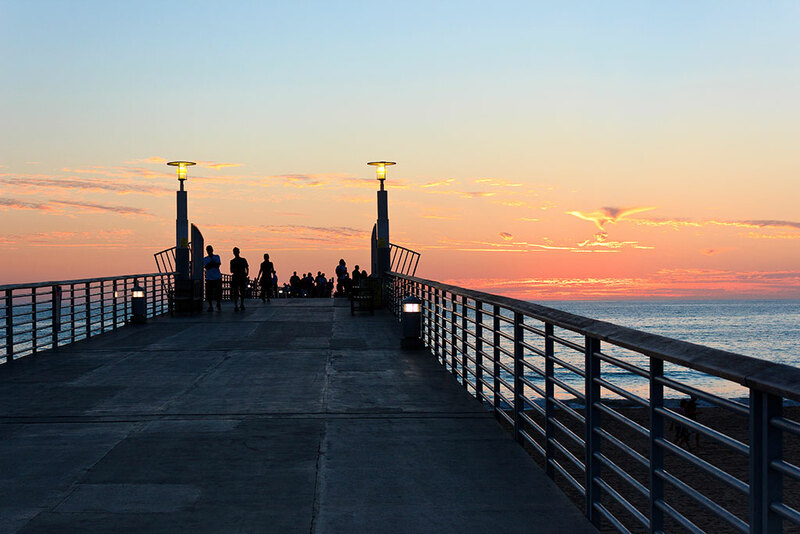 The Strand, which stretches North into Manhattan Beach and South into Redondo Beach, is favored by walkers, joggers, bikers and sightseers. There are three main neighborhoods in Hermosa - the Sand section, Hermosa Valley and East Hermosa (aka Hermosa Hills). You can explore each of these neighborhoods individually by clicking on the appropriate neighborhood link provided here. Of the three neighborhoods, the Sand section, as its name implies, is the closest to the beach, encompassing the area west of Valley Drive. There are some nice view homes in Hermosa Valley, which covers the generally upsloping section of Hermosa between the Valley/Ardmore green belt and PCH. And, of course, there is East Hermosa which encompasses all of Hermosa east of PCH. Naturally, as you get closer to the ocean, home prices tend to increase, culminating in the stratospheric prices for homes on The Strand, which look out onto the beach-adjacent bike/walk paths and the beach itself. The school system in Hermosa Beach is divided into two groups - kindergarten through 2nd grade with students attending Hermosa View school off of Prospect Avenue, and 3rd grade through middle school with students attending Hermosa Valley school located off of Valley near Pier Avenue. Hermosa Beach does not have its own high school. 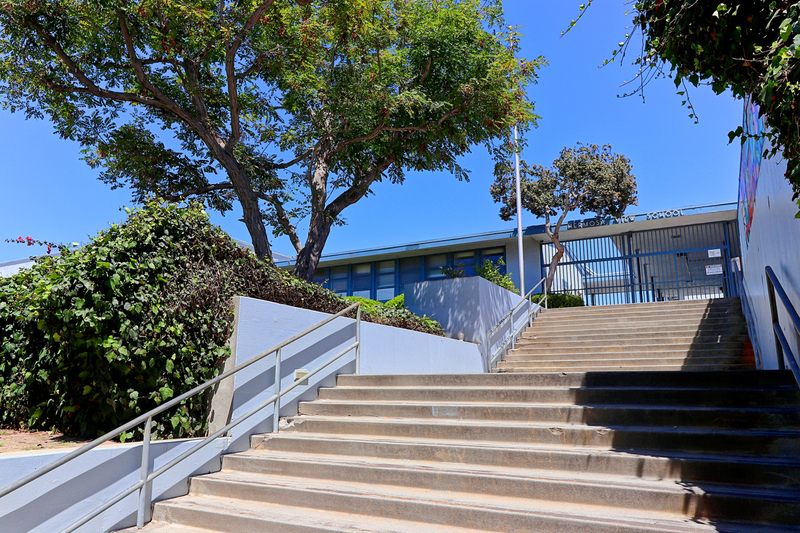 Residents have the choice of sending students to either Mira Costa High School in Manhattan Beach or Redondo Union High School in South Redondo Beach. Like all the beach city schools, the test scores at both of Hermosa's schools rank extremely high. *Note: State-mandated changes to the Academic Performance Index (API) means there will be no new API scores for 2014 - 2016. Sign up now and you'll be notified by email as soon as new Hermosa Beach listings comes to market.